The American Theater is an old vintage movie theater located in the heart of downtown Charleston. 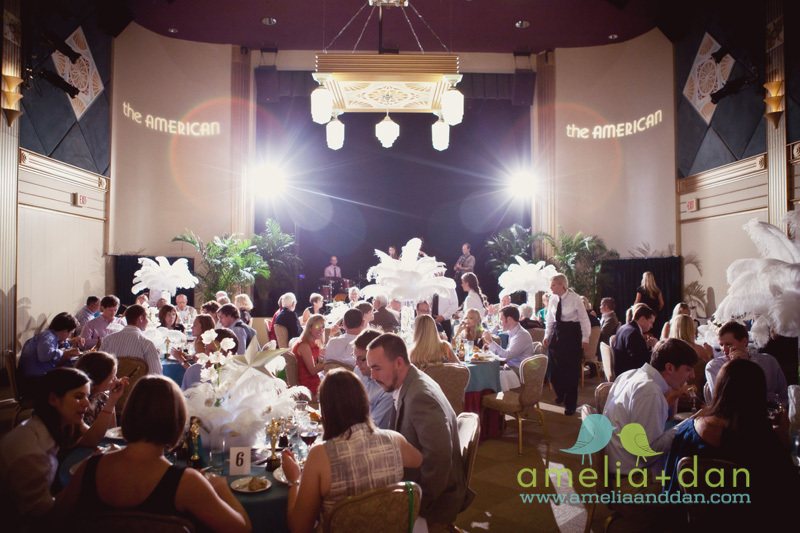 Surrounded my numerous restaurants, shops, and hotel accommodations, the American Theater is a great wedding venue for small to medium sized reception who want a vintage look. This venue even allows you to change the billboard on the outside of the theater to have it say what you want on your big day! Not only does the exterior have a vintage look, but the inside does as well. When you walk in there is an old fashioned lobby with a concession stand for drinks, popcorn, favors, etc. The lobby also has plenty of room for pre function activities. There is also a working cinema located inside. It seats 130 people and has a working projector. This space is usually used for a photo booth or even guest sign in, gifts, etc. Upstairs is where the Stars Lounge is located. There is a bar up there and can accommodate 60 people standing. The main ballroom is a beautiful vintage room with a main stage included for a live band or DJ. The ballroom can accommodate 140 seated, without room for dancing. Included in the ballroom is also a 9×12 screen with a ceiling mounted monitor which you are able to use if desired. All rooms are handicap accessible to get to except for the Stars Lounge. Catering for this venue is done through the Patrick Properties, and no outside catering is allowed. 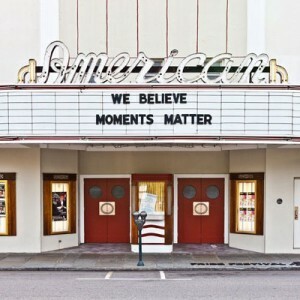 For pricing and other questions about this venue, contact your Charleston Wedding Planner!